Ten patients at Penn Medicine have been cured of the Hepatitis C virus (HCV) following lifesaving kidney transplants from deceased donors who were infected with the disease. The findings point to new strategies for increasing the supply of organs for the nation’s more than 97,000 patients who are awaiting kidney transplants often for as many as five or more years. In 2016, Penn Medicine launched an innovative clinical trial to test the effect of transplanting kidneys from donors with HCV into patients currently on the kidney transplant wait list who do not have the virus, and who opt in to receive these otherwise unused organs. Recipients were then treated with an antiviral therapy in an effort to cure the virus. Early data from the study were presented by David S. Goldberg, MD, MSCE, an assistant professor of Medicine and Epidemiology in the Perelman School of Medicine at the University of Pennsylvania, at the 2017 American Transplant Congress in Chicago, and were simultaneously published in the New England Journal of Medicine. In the first phase of the study, to date, 10 patients have received transplants using the protocol. On average, patients received a transplant 58 days after enrolling in the trial some in as quickly as 11 days, while others waited for over 100 days. At three days after surgery, patients were tested for HCV, and all 10 tested positive for the disease. Next, the participants were treated with the standard 12-week course of elbasvir/grazoprevir, commonly known as Zepatier, a recently-approved and highly effective oral medication prescribed to eradicate HCV. 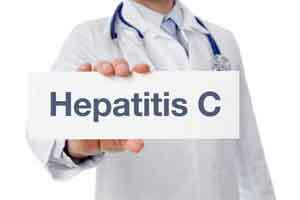 All 10 patients have been cured of their contracted HCV. Following the early positive results, the research team was granted an extension of their study, which will allow them to transplant and treat an additional 10 patients 20 patients in total. Additional Penn Medicine experts involved in this study span disciplines including infectious diseases, transplantation surgery, gastroenterology, hepatology, and pathology and laboratory medicine, including Deirdre Sawinski, Roy Bloom, Raj Reddy, Emily Blumberg, Jennifer Trofe-Clark, Vivianna Van Deerlin, Midhat Farooqi, Peter Abt, Matthew Levine, Paige Porrett, Susanna Nazarian, Ali Naji, Maureen McCauley, and Anna Sicilia. The study is supported by a research grant from the Merck Investigator Initiated Studies Program, and Merck supplied the antiviral drugs used in the study. The University of Pennsylvania Health System’s patient care facilities include: The Hospital of the University of Pennsylvania and Penn Presbyterian Medical Center which are recognized as one of the nation’s top “Honor Roll” hospitals by U.S. News & World Report Chester County Hospital; Lancaster General Health; Penn Wissahickon Hospice; and Pennsylvania Hospital the nation’s first hospital, founded in 1751. Additional affiliated inpatient care facilities and services throughout the Philadelphia region include Good Shepherd Penn Partners, a partnership between Good Shepherd Rehabilitation Network and Penn Medicine.